Collinwood Observation Deck • View topic - Collinwood Observer 02_01 On the Street and Online! 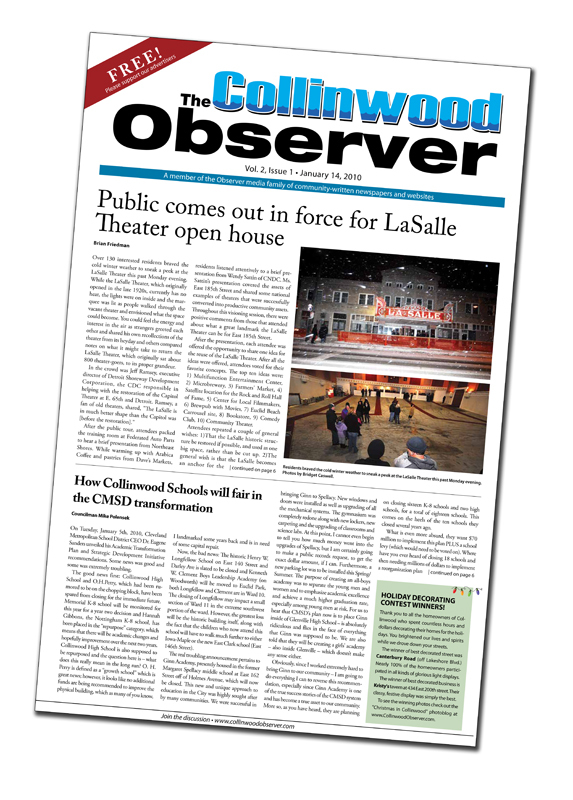 Post subject: Collinwood Observer 02_01 On the Street and Online! The Collinwood Observer is back, check it out. The Collinwood Observer is quickly becoming one of the hot versions of the paper! Collinwood has the club The Beachland Ballroom! Now John Copic and Cindy Barber bring you the edgiest of all of the Observers!